The pricing below is provided for reference, but should not be considered an exact quote. Sport Photography: This rate will vary significantly, depending on the exact project requirements (i.e. tournaments, significantly shorter/longer games). Please contact me for additional information. Video Recording: A half-day (four hours) will cost a flat rate of $500 + HST. A full day (eight hours) will cost a flat rate of $850 + HST. Overtime is billed at $150/h + HST. Video Editing/Motion Graphics: Rates begin at $85/h + HST (with no minimum). Revisions are billed at the same rate. Hourly rate may vary, depending on the exact project requirements. One-Week Turnaround: An additional fee of $500 + HST will apply. The charge associated with this service may vary, or the service may not be offered, depending on the exact project requirements. Size of the project and additional support requirements (i.e. second shooter, additional equipment rental, etc.). How the final product will be distributed. If you have a specific budget in mind, please don’t hesitate to contact me. We can work to build a package that fulfills your requirements. If you’d like to learn more about what makes my services unique, please visit the ‘My Approach‘ page. If you’d like to discuss pricing, availability, licensing, or anything else, please feel free to e-mail me directly at kevin@kevinraposo.com. You can also reach me by filling out the form below. I will respond to all inquiries within 24 hours! My phone number is not publicly available for anti-spam reasons. 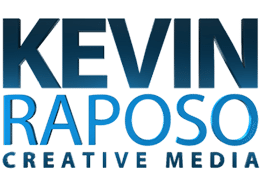 Kevin Raposo · Creative Media serves the Greater Toronto Area and surrounding regions.